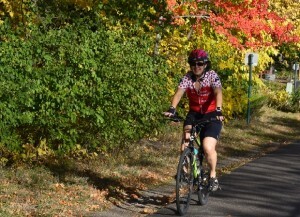 An ideal destination for biking, the Chippewa Falls area offers miles of paved trails with many routes on low traffic roads. 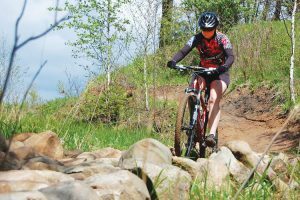 It also has several mountain biking areas. 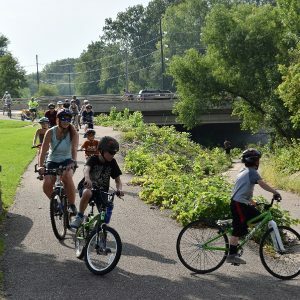 After riding and exploring Chippewa Falls, you will have a chance to enjoy many activities surrounded by nature, history, culture, and arts all while having fun! A biker experiencing some rough terrain on a sunny day. 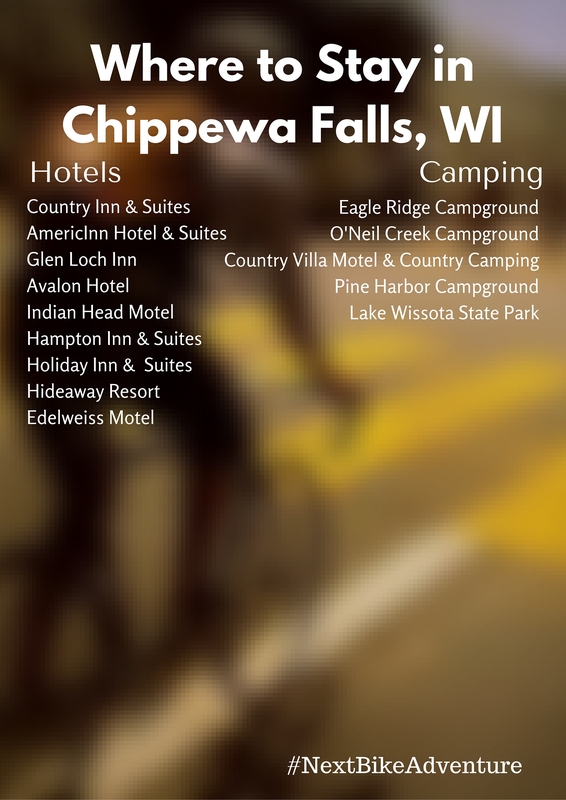 Chippewa Falls has many great biking opportunities from designated biking trails to scenic road rides. 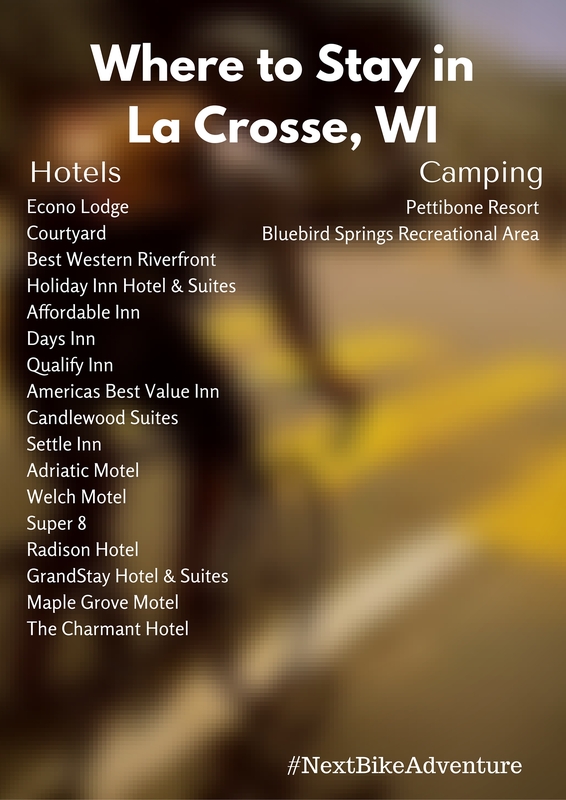 Hop on your bike and let your legs pedal you through beautiful parks, neighborhoods, and back country roads. Designated and marked trails include the paved Duncan Creek Parkway Trail, the Old Abe State Trail, and the the Riverview Reserve. Off road opportunities include: Hickory Ridge, Riverview Reserve, Irvine Park & Zoo, Lake Wissota State Park, and the River Road Trail. For more descriptions of each place, check here. Many of the trails listed above area also ideal for walks and hikes. If you want a chance to kick back and relax, there are attractions for that as well. 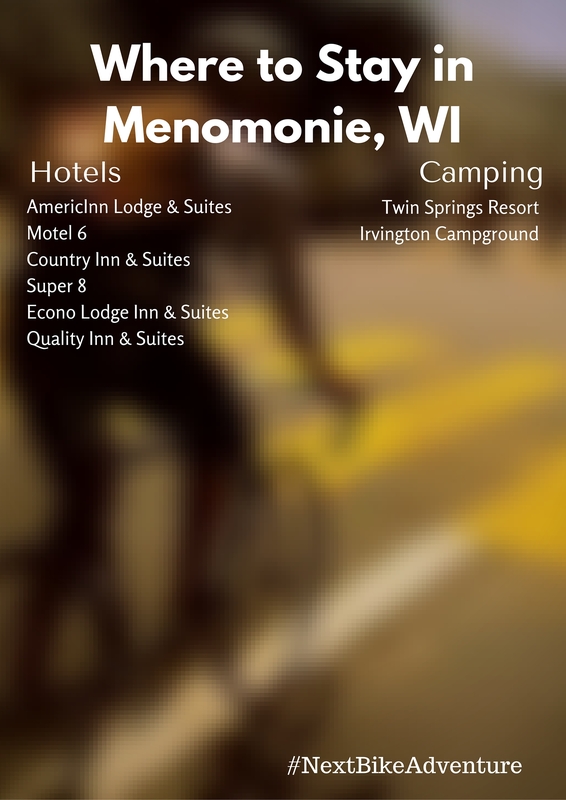 You can enjoy some of the local attractions, take a tour of the Chippewa Falls Museum of Industry & Technology or tour the Jacob Leinenkugel Brewing Company. Perhaps Mason Shoe? From the Bake and Brew Cafe to the popular Connell’s Supper Club, Chippewa Falls offers several interesting and charming cafes, coffee, and ice cream shops. Click here for a full list of places to eat! While exploring Chippewa Falls, remember to take a breather and get some great night sleep at one of these locations. Along with most hotels, coffee shops and restaurants having Wi-Fi availability, the public library is another good option. The Chippewa Falls Public Library is located at 105 West Central St., Chippewa Falls, WI 54729 and can be contacted by calling 715-723-1146. 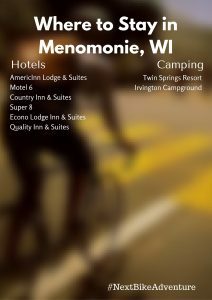 See the Chippewa Tourism Bureau for more detailed information.